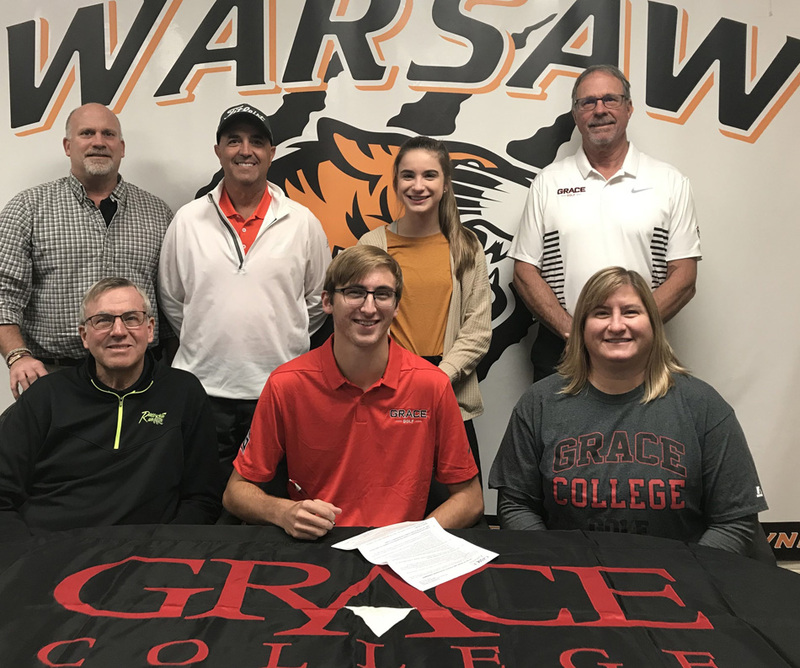 WARSAW – Warsaw Community High School multiple sport standout Chase Byron has been a fixture on cross country and golf courses around the community, and he has selected Grace to continue his academic studies and participation in golf. In addition to having earned three varsity golf letters for the Tigers, Byron has excelled on more courses than just golf. The senior has earned four letters for Tiger cross country, earning the Most Improved award this past season. He has also earned back-to-back most improved awards for the Tiger golf program as well. In addition to serving as a leader for Tiger athletics, Byron has also been a valued member of a number of school and community programs as well. A four-year member of WCHS Fellowship of Christian Athletes, Byron has worked two years with the Warsaw Community Church Leadership team as well as one year with the Warsaw Frisbee Club. Byron also served on a missions trip to Honduras, and he has been a valuable member of the Peer Tutoring program that works with students at WCHS. Having had great success on the outdoor courses, Byron also had a great deal of success with his school courses, as the scholar athlete has amassed an impressive 10.44 GPA (12-point scale) heading into the final stages of his final high school fall semester. Intending to major in Sports Management and Youth Ministry at Grace, Byron will be a member of the Lancer golf program guided by coach Denny Hepler. The Lancers compete in the NCCAA, Crossroads League, and they are a member of the NAIA.